Best Practices for Consumers – Independence Through Connections. Quite recently I found myself involved in scams from the local stores of two national chains. In the first my check was refused by their register; I voided that and paid with my credit card. Three weeks later my bank statement showed that an electronic withdrawal had been made for the check which had been voided. In other words, I had paid twice for that purchase with the electronic check and my credit card. When I went in to ask for a refund store personnel was less than gracious; I was put off and told to bring in my voided check. When I did that, I was offered a gift card after being told that a deposit would be made to my checking account. I accepted the gift card and then learned there was no deposit to my bank account – the gift card was my refund. I did not trust the store manager and so I canceled my credit card. A few days later I received an email saying that my credit card had been declined for a purchase I had made at the local store of another national chain. This was for something to be automatically renewed. I had made no such purchase. A gift card to replace money lost forces me to buy more of the store’s goods in order to recoup what I lost. This is not an ethical way to do business. To place a purchase on a customer’s credit card of which she is unaware is also an unethical thing to do. Yet, it is apparent that both are done and considered acceptable. Always check statements from banks, credit unions, and credit cards. Look for anything that does not belong there. No longer will I so trustingly give out my credit card. If I don’t have the cash to cover my purchase, and if accepted, I will use a check from my bank. When unable to obtain satisfaction from a local outlet, write to corporate headquarters. The chain’s information is given on their websites. If a bank is involved, call them. The bank’s Fraud Department is what resolved this for me. Check for recurring charges if you have signed up for a trial period or a one-year subscription and forgot to cancel. Look for a purchase which has been rolled into a subscription type account without your having been aware of it. There are many possibilities. To protect yourself, check those statements. 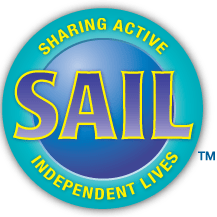 SAIL can help members check out potential scams! Don’t hesitate to call us if something seems strange. The Wisconsin Senior Guide, available by clicking here or in hard copy from SAIL, also has helpful information on scams. Next ›April read: I AM NOT OLD ENOUGH!